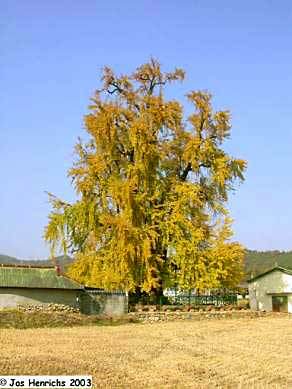 The Hamel Ginkgo tree in Gangjin-gun, a city in the South-Jeolla province. 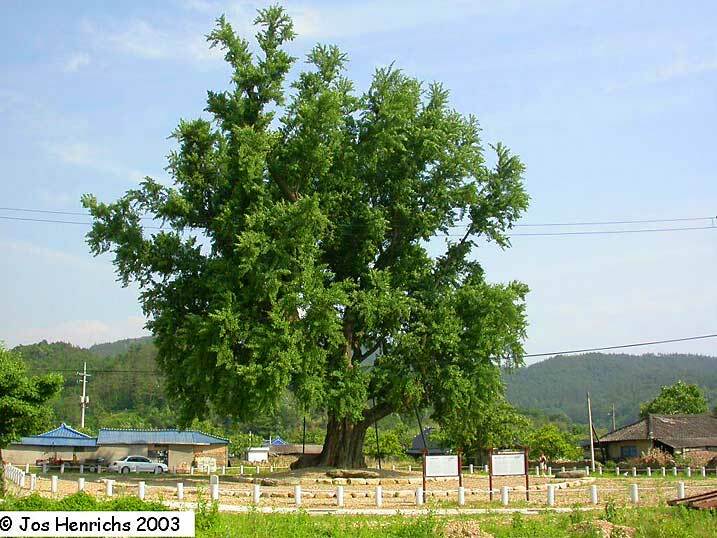 Hendrick Hamel, a Dutch sailor who was shipwrecked and held captive in Korea between 1653 and 1666, is supposed to have been sitting under this tree during his imprisonment. 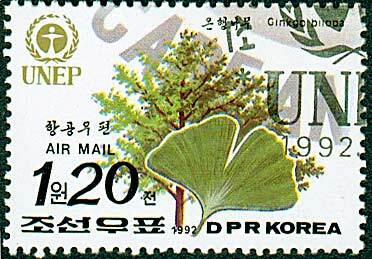 Hamel was the first Westerner to write about Korea. This tree is about 800 years old. 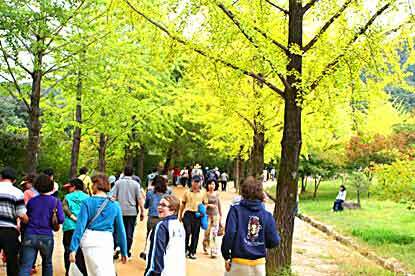 Gumi city in the South Gyeongsang province. 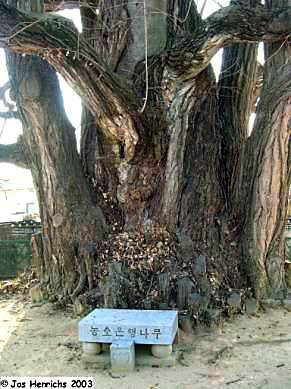 Trunk of the Ginkgo in Gumi. The Temple of the Floating Stone.